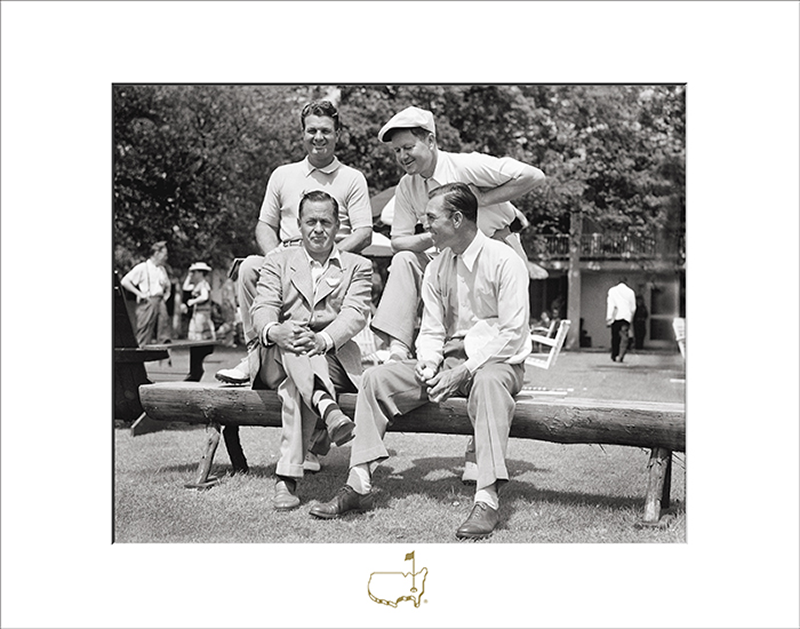 Jim Demaret, Byron Nelson, Bobby Jones and Ben Hogan sit on a pine log bench outside of the Clubhouse at Augusta National Golf Club during the 1946 Masters Tournament. 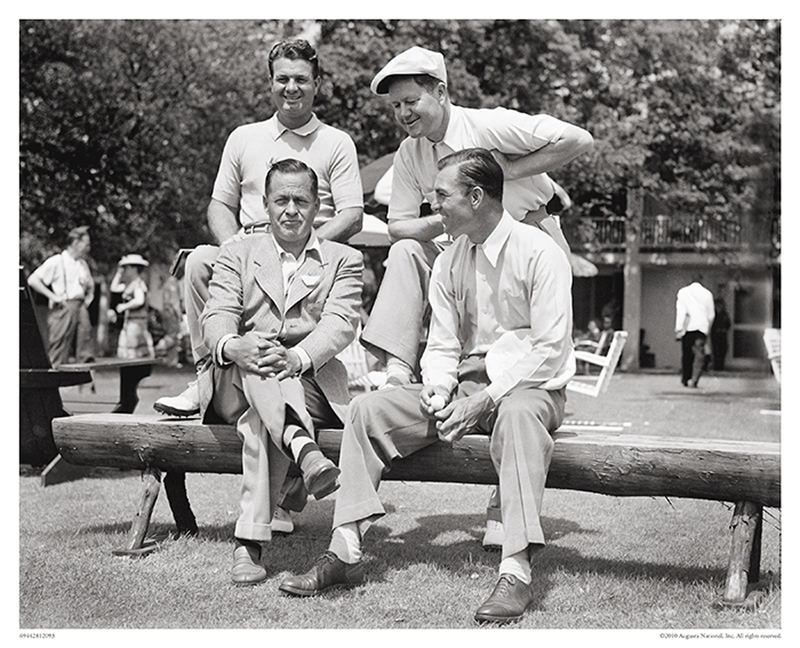 Of this group of golfing heroes, it was Jones who never won the Masters, a Tournament he co-Founded with Clifford Roberts. 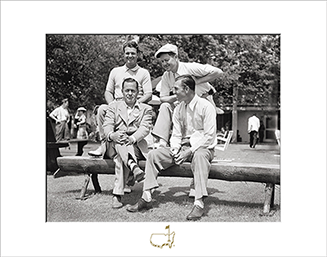 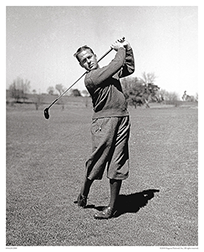 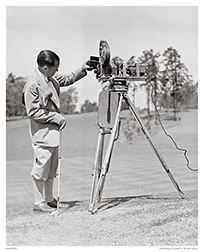 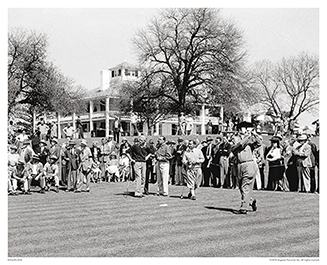 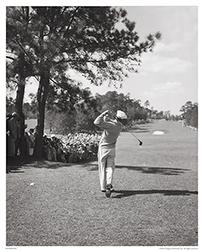 Demaret (3), Nelson (2) and Hogan (2), combined for seven Green Jackets during the 1930s, ’40s and ’50s.